Water systems serving 25 or more people for more than 60-days yearly, or having 15 or more residential connections year-round, are subject to Utah Public Drinking Water Rules and must obtain a permit known as an approval. Systems developing their own water supply must meet state standards by submitting proof of adequate water rights, organic and inorganic water chemistry, radiologic and bacteriological quality, adequate source yield and water source protection from concentrated pollution. 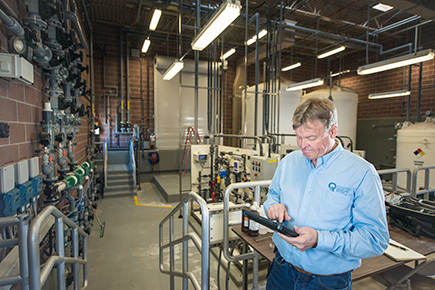 If connecting to an existing water system, explain expected demand, including number of people, fire protection, and other uses; and existing water system’s supply capability. Applicants prepare plans after the Division verifies the above provisions. The Utah Public Drinking Water Rules’ construction standards must be followed. On-going sampling and inspection are required. a piped distribution system is not justified. At least 30 days, may take longer depending upon original application’s completeness. Contact DEQ (801) 536-4000 for further information on the content of this page.